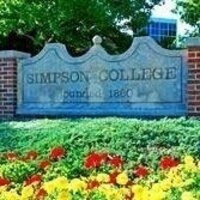 Check out Simpson College this summer! Simpson College invites you to join us for one of our Summer Visit Days on August 1, 2, or 3. Don’t miss this opportunity to see what Simpson has to offer! While you are on campus you’ll have the chance to learn why Simpson is the place to be. Professors are available to talk with you about our outstanding academic programs! services available to you as a Simpson student. Student-guided tour of campus and their best "insider" stories and tips! Get your questions answered! This Q & A panel includes students, residence life staff, faculty and admissions/financial aid counselors. And, of course you’ll leave campus with some Simpson swag!